Decision making for your virtual organization needs to optimize the decision process and impact. If your organization relies on a wider community of unpaid volunteers, then you will need to find ways to involve this community in your decision process. Where decisions need to be made on a day-to-day basis, you will want to have paid staff with the authority to make these, and to also be accountable to the executive body of your virtual organization. Involving the wider community usually involves two complementary modes of decision making: election and consensus. For large organizations these two modes are sometimes used together in a multi-step process of delegation and consensus. Why is consensus important? 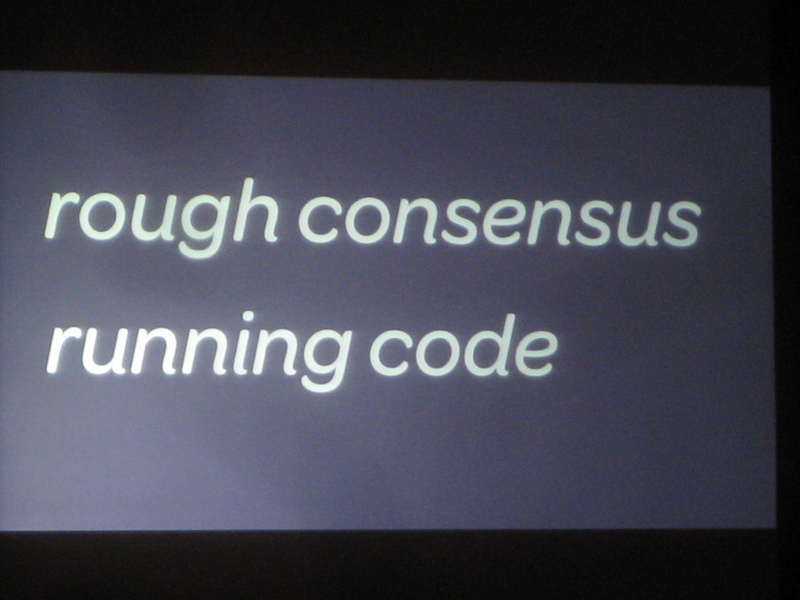 What type of consensus is the best? How do I create a culture of consensus? Previously, I outlined the arenas where staff and volunteer decision making occur, here I want to focus on the role of consensus. Consensus is primary important as a decision process where this can positively impact the quality of the decision and/or the efficacy of its outcome. The road a consensus decision opens up the discussion to include every member’s perspective and intuition. This process brings in the full range of the group’s knowledge to bear on the issue. During this discussion, aspects of the problem may be illuminated that were previously obscure. The result can be a decision that is stronger or more astute. Even when the discussion leads to a compromise, that compromise can be based on real-world limitations, and so, might avoid trouble after implementation. Where the implementation of the decision will require the active participation of the larger community (e.g., a decision to support a certain data/metadata format) consensus carries an invaluable mark of community involvement and ownership for the decision. Absolute consensus may be unreasonable, given the range and interests of various stakeholder groups in the membership. If this is the case, and it would probably become evident during the start-up of the community, then some sort of “working consensus” (or rough consensus) might be a reasonable alternative. This would be a type of super-majority that would allow for a few opposing views to be not included in the final decision, but to be included in a durable report of the decision process as a minority perspective. The logic is to be able to move ahead, while maintaining the conflict that emerged in the decision process on the surface of the final decision. This type of working consensus would need to have at least a 81% majority: in a group of 20, no more than three people can disagree with the final decision. The goal is always to achieve a total consensus, with the working consensus as a fall-back. Consensus decision making requires a consensus-aware culture for interaction within the group. There are some established cultural practice guidelines for consensus organizations. One of my favorites is the Seeds for Change organization in the UK. The consensus decision process challenges each member to listen fully to the arguments, to state their own position clearly, and to be aware that they have more than just an option to support or block a decision. A member can also abstain, withholding their outright support and refusing to block a decision. It is important in the discussions leading to a decision that the facilitator (often a staff member) is also a process mentor, reminding members of the need for open minds and hearts in the process, and a clear-headed, well-founded motive when a member decides to block a decision. Consensus decision making does not directly scale beyond a couple-dozen members. In a larger community, each stakeholder subgroup (this requires a fractal subsetting to sub-groups of no more than a couple-dozen members) is granted a representative to an executive council where the consensus discussion is held. At the point of a vote, the representative returns to their subgroup and outlines the issues and the proposed decision. Once a consensus is acquired within the subgroup, this is carried back to the executive group. The process of arriving at a consensus is at the same time a process of listening to the best ideas and the strongest fears of the community’s stakeholders, and a means to forge a better solution as a final decision. A decision based on consensus carries the trust and the will of the entire community. Posted on November 4, 2013 November 4, 2013 by Bruce CaronPosted in democracy, governance, virtual organizationTagged consensus, culture. Next Next post: On the road to governance? Get a handle on your logic and keep an eye on practice.